This is a Celtic style knot called ‘Potentials’. It attracts wisdom, peace and purpose. This Celtic knot represents the eternal cycle of life, death, and rebirth. Because of this cycle, we have created actions in the past that have created many potentials in our mind which are waiting to flourish when the time and conditions are right. When we understand that this cycle is ongoing and eternal, then we develop the wish to fulfil life’s meaning and this leads us to the spiritual path that eventually puts an end to this ongoing cycle. This journey is a joyful and meaningful one that leads us to a state of eternal happiness and peace. The Koru represent the unfolding and growth of our potential to be happy. 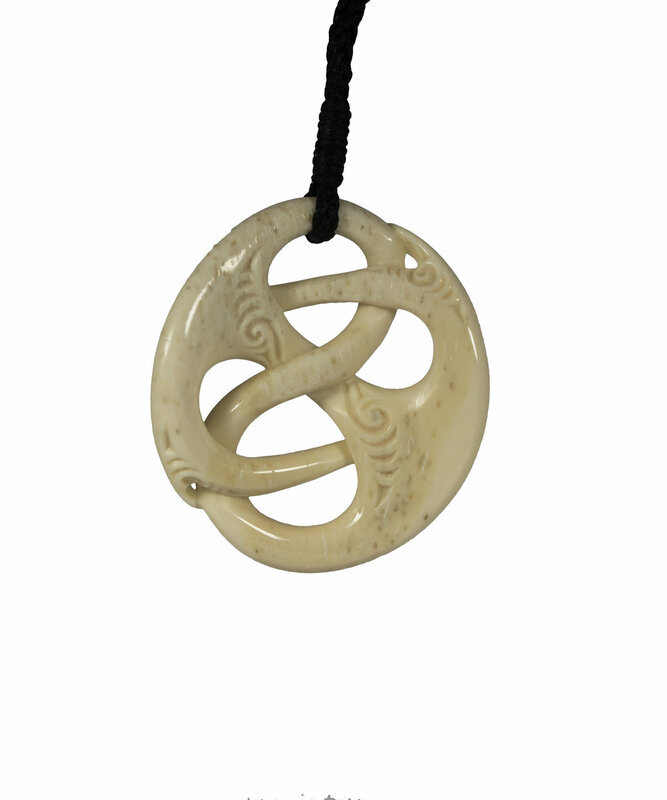 The Koru are on the inside of the knot. This symbolises the journey inwards towards peace and enlightenment. Discovery of our true nature.